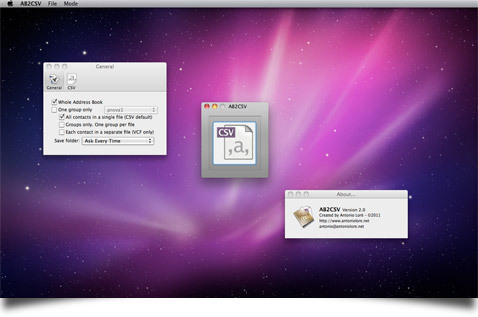 Mac running Mac OS X 10.6 or later. Available in Italian, English and Spanish. - Added translation for contacts imported from Exchange. 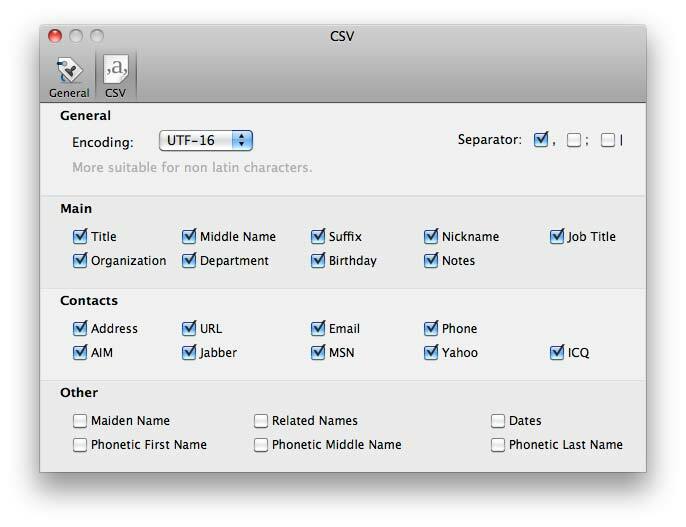 Also known as Address Book to CSV Exporter, this Mac OS X utility allows the user to export his own Address Book in a CSV or VCF file. 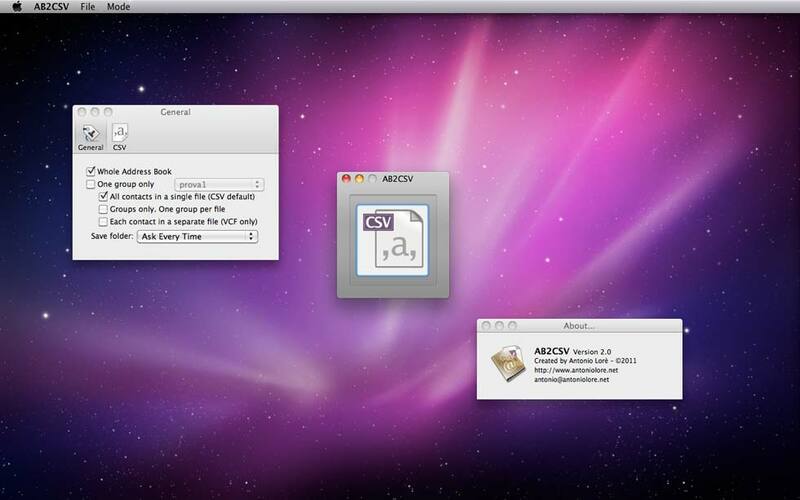 Whole Address Book exportation is only one click away. 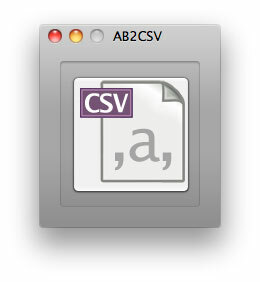 CSV and VCF are both supported. 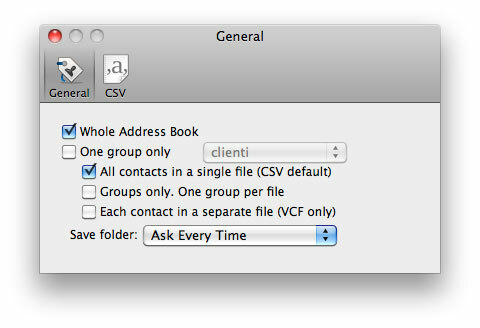 Set what do you want to export: whole Address Book or groups. 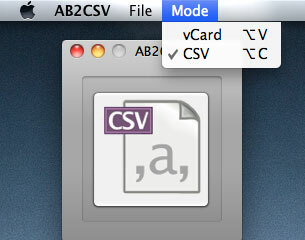 Choose which contact's details you wish to export and CSV separator.